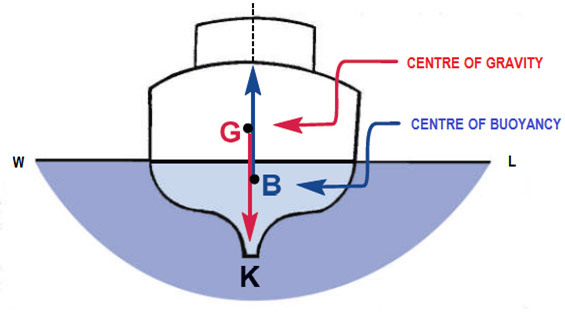 When a vessel is floating upright in still water, the centre of buoyancy (upthrust) and the centre of gravity (downthrust) will be on the same line, vertically above the keel (K). If the vessel is inclined by an external force (i.e. without moving internal weight) a wedge of buoyancy is brought out of the water on one side and a similar wedge of buoyancy is immersed on the other side. 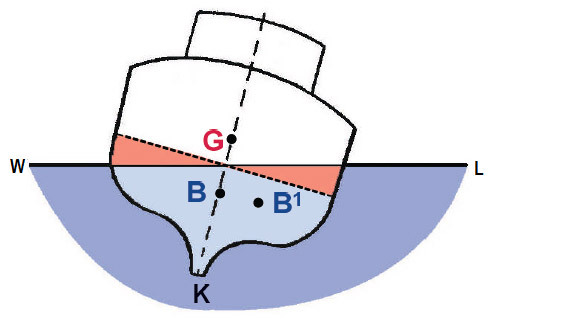 As a result, the centre of buoyancy moves from B to B1.